So we bought the farm. One of the best things about the place was the ability to get away. 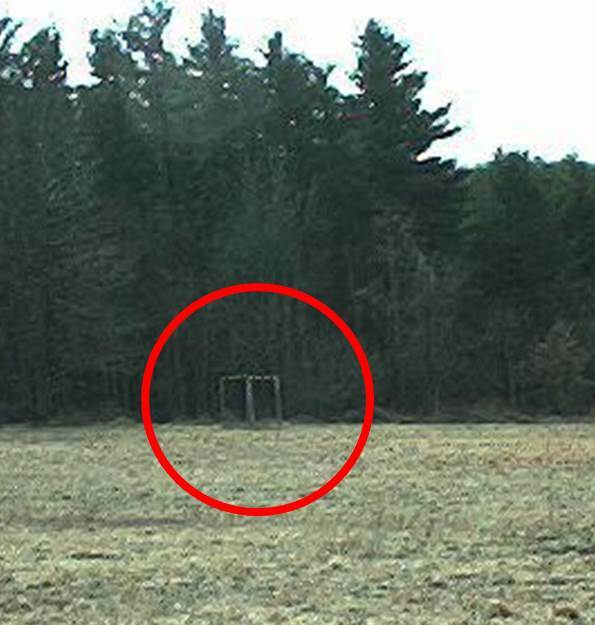 You could walk into the upper fields and not see a single sign of anybody else anywhere. I use this as one of my quality of life measures: “How long would it take you to get somewhere where you could turn in every direction and not see another human being?”. When I lived in San Jose, CA, it was about an hour and a half to get over the hills to a park I knew. On the Homestead, it took about a minute and a half to walk up into my fields. 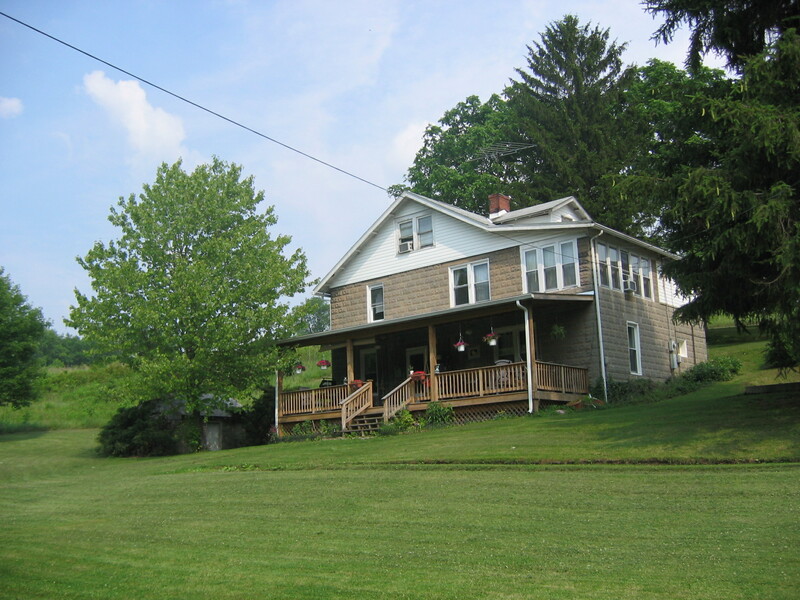 The house was built in 1936. It remains the only two-story, frame, sculpted cinder block structure I’ve ever seen. I know it was 1936 because when we moved in, we wanted to take up an old carpet in the living room. Under the carpet was linoleum. Under the linoleum was newspaper, a Sunday Pittsburgh Press in fact from 1936. They used to use newspaper to smooth the floorboard joints so you wouldn’t see the lines through the linoleum. Among the papers was the editorial section. At the time, the XIth Olympiad was being held in Berlin which was under Nazi control. The editor of the Press had this to say, “I know everybody thinks that this Hitler fellow is wonderful, but there’s something about him that bothers me.” Alas, the Press went the way of many US newspapers in the 1970s, but they had it right this time. The buildings consisted of a three bedroom farm house with a finished attic where my daughter had her “suite” growing up. The only bathroom was on the ground floor, so it was a huge pain in the middle of the night. The upper story had the bedrooms and a big sun porch. When my son Max was born, we moved him into our bedroom, and put our bed on the sun porch. We froze that winter. Eventually, my wife had me put a second bathroom upstairs with a shower so there was no need to go downstairs anymore. We heated the place with oil, which got a bit pricey. The company that delived the oil had a computer program that would calculate when you’d need your tank refilled based on your past usage. Should you run out, they would give you 50 gallons free.The previous occupant was a 90-year old lady who only lived in the downstairs, so the usage was very small. Their computer could never catch up with our usage to heat the whole house, so we continually got free oil. On the downside, when you run out, it is always 3 AM on the coldest night of the winter. Win-lose. The house had a crappy little porch that was falling down, some kind of tarred shingle siding on the top above the block and ancient rotted windows. I put in new vinyl siding, new windows and a great porch. I put a nice porch on my current house, too. I’ll be known someday for my porches. Next to the house was a spring house which took water from a spring somewhere up the hill and piped it into a 5 ft by 4 ft by 3 ft deep cistern inside. There were always large salamanders that lived in the cistern which I was told was proof that the water was good. My wife was not convinced and would have nothing to do with the spring water. 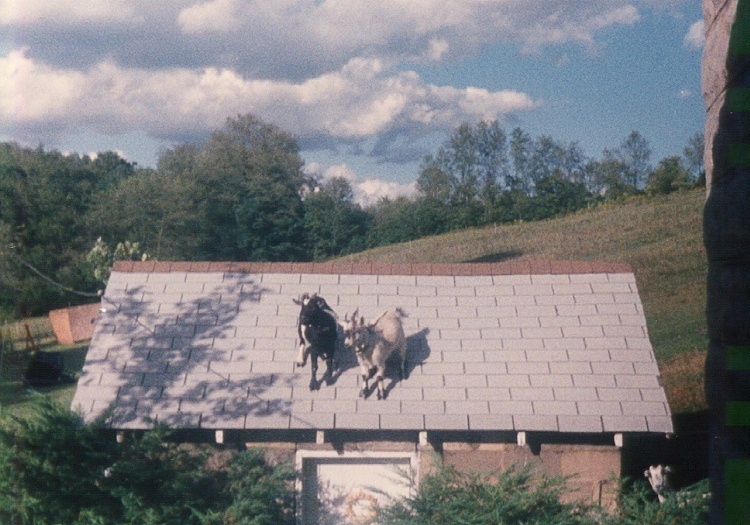 The goats liked to climb on the spring house roof which provided comic relief. 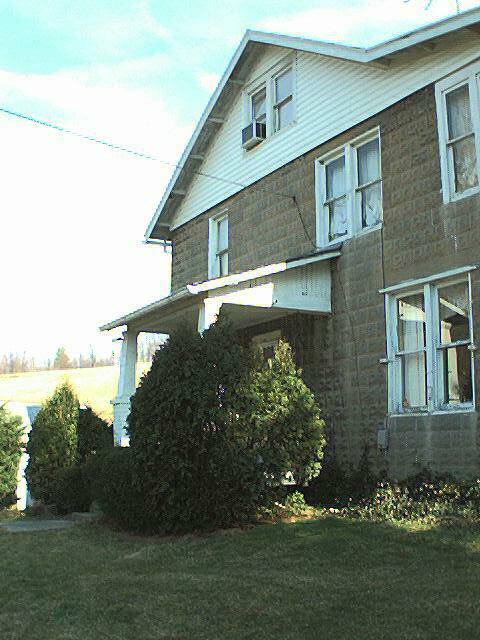 The third building was a barn that was really an old Model T garage which was built into the hillside beside the house. The top of this barn was where I kept my tractors and the lower area was for storing feed and providing shelter for every known rodent on earth. 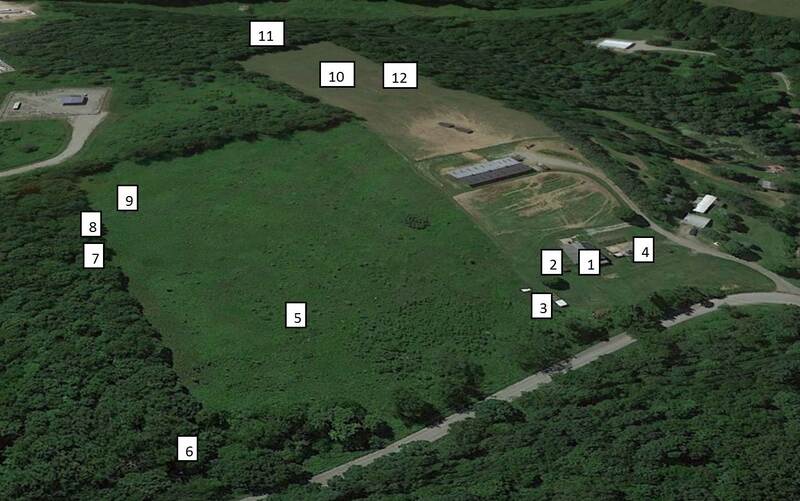 As for the rest of the spread, I thought that a walk around the place was in order, so I dialed it up on Google Earth. The land is “L”-shaped with a piece in the back stretching to some tall pine woods. Above my main fields was a factory that refurbished propane tanks. 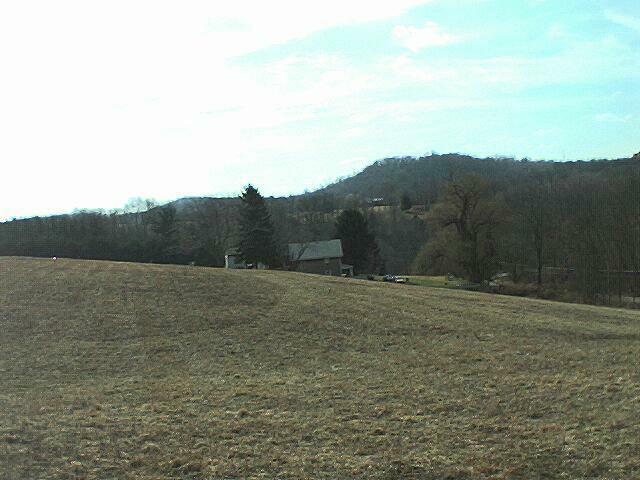 Of to the left (east), the land dropped off rapidly to a small creek, and to the right (west) was a trailer on a couple of acres that was split off from the original farm where the old lady’s daughter and her husband lived. Very nice people who kept to themselves, but were always ready to help. The land fronted on a sleepy road that came down a steep hill very straight before making a tight right turn at the bottom. Many, many lost strangers didn’t quite make this turn over the years. 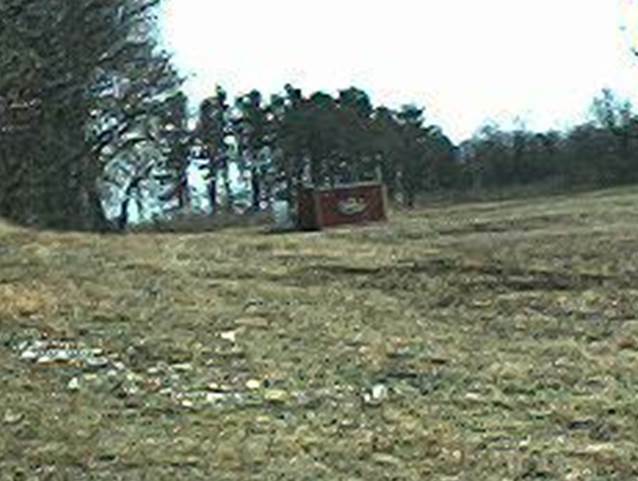 The prevailing wind direction was from left to right (west to east), so we put the pig pen to the left (east) of the house. 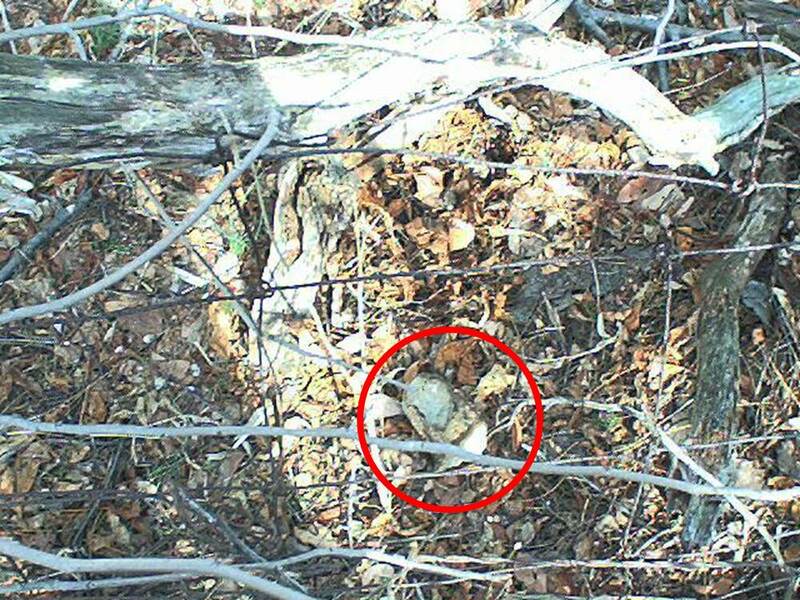 The pig pen fence consisted of two-inch galvanized steel pipe and some 2-in by 1-in galvanized steel fencing that I scavenged from a family lumber yard that went out of business. I buried the fencing about 10 inches into the ground to keep the pigs from digging under it. I built an open shelter to keep the rain and the sun off them and put a old aluminum feed trough. I had a huge chain-link gate hinged into the steel pipe to get in and out when needed. Next the pig pen was the garden. About 20 ft by 30 ft consisting of tomatoes, peppers, zucchini, and green beans. Any weeds and rotten vegetables went right over the fence into the pig pen. Every few years, I’d switch the pigs and the garden to take advantage of fairly rich fertilization. We kept pigs for several years and these were my favorite farm animals. My first house had a garage. My current house has a garage. Unlike most Americans who use their garages for storing junk, and park their cars outside, I like a garaged car, especially in the Pennsylvania winters. One of the first things I did was to envision a garage built next to the house, but I didn’t have the money to build it. I did have a neighbor who did excavating and concrete work, so I had him level and pour a 30 ft by 40 ft concrete pad next to the house where the eventual garage would go. He poured an extra thick footer around the edges to accommodate my eventual palatial garage. Alas, it never got built. The pad did have the basketball hoop, the hockey net, and was a good place to change oil. However, I had to clean off the ice and snow for my 1.5 mile commute to work each day. 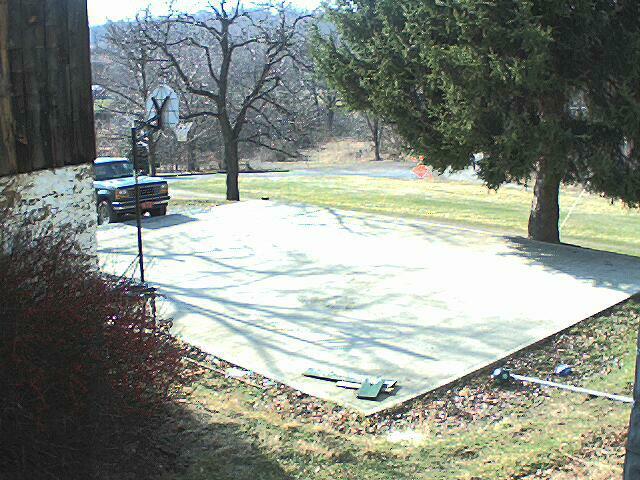 The pad was the arena for an epic struggle between me and a brazen groundhog that can be found here. Another time, I came home with 10 eighty-pound bags of water softener salt in the back of my truck. There were two middle school boys playing basketball showing off for my daughter. I decided to really let them show off and told them to unload the bags from the truck and put them into the house. Teenage boys will do all kinds of dumb things to impress a pretty girl. He-he-he. The field to the east of the house was fairly level on the top, but sloped downward to the road, becoming steeper as you neared the house. This made for a great sled riding hill for the kids. The Side Field – Good Sledding! Proceeding clockwise around the spread, the far north-east corner dropped off into woods and a small creek that crossed the corner before being piped under the road. The water was good, with plenty of crayfish and salamanders to be found under the rocks. 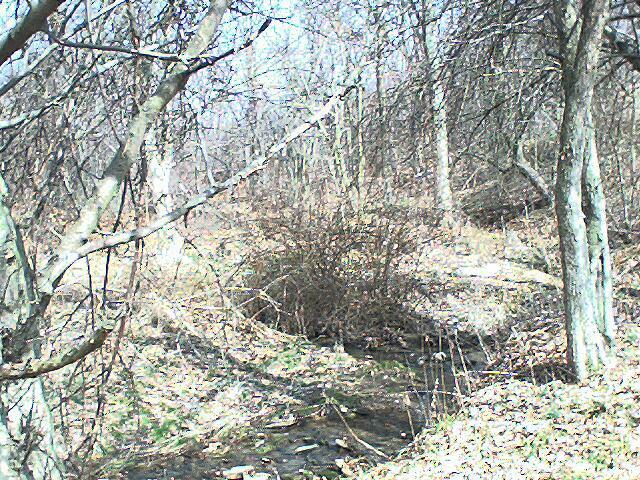 When I fenced the fields for cows, I extended the fence down the hill to cross over the creek so that the cows would have a water source. The kids played in the creek all the time, including my nephew Nathan who got soaked every time he came to my house. There was a bathtub in the creek that somebody had dumped there. One of those 1950s pastel blue ones, and I swear the kid must’ve went swimming in it. 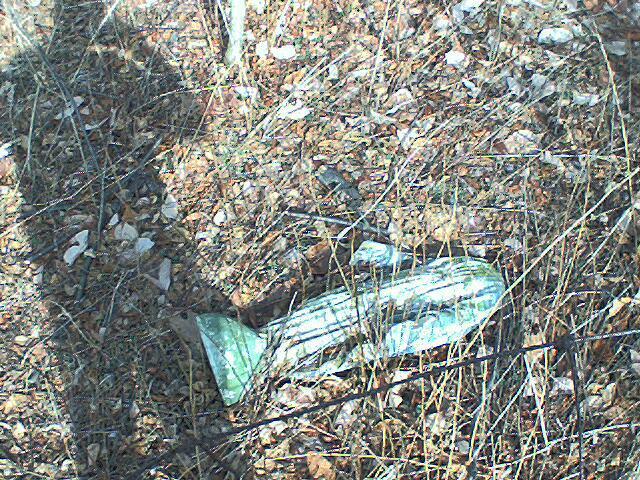 Walking up the hill from the northeast corner, you encounter an old fence. Bluebirds would nest in the knotholes of the posts, and old rusted barbed wire was strung haphazardly. Just over the fence I found a statue of the Virgin Mary. Somebody had dumped it there, and the head was missing. A short distance away, I came upon her head. Now I’m Roman Catholic, and we have a great respect for Mary, but I don’t think this was an anti-papist message being not-so-subtly delivered. In the top corner of the main field, my father-in-law parked the back of a Daily’s Juice truck that he used for a shed for years. Not one thing, to my knowledge, that ever went into it, ever made it’s way out. Also stored up here was a wood pile with much of the lumber that we cleared out of the defunct lumber yard, and an old refrigerator (with the door removed) that we couldn’t figure out what to do with. Coincidentally, my father-in-law moved everything out when my ex and I split up. Right where the truck stood was the only place we could find that could pass a percolation test which allowed us to split the land. Now you may ask, “Rick, where would one get the back end of a Daily’s Juice truck?”. And you’d be right to ask this. My ex’s dad was a great guy. Still is. However, he would get all kinds of crazy things. At one point, he had the chance to get an office that was erected inside of a warehouse. 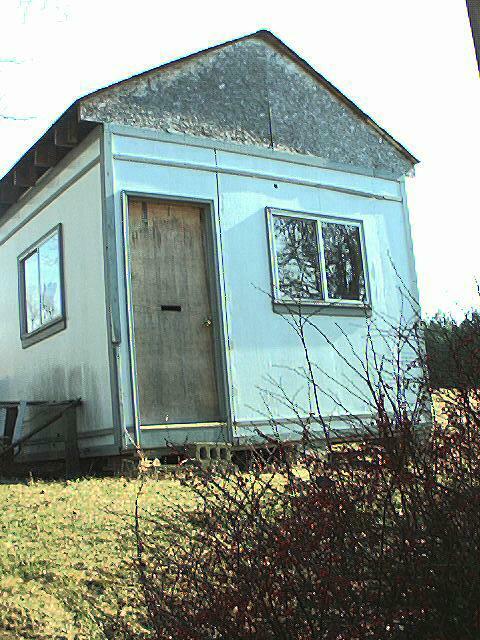 The office was about 12 ft by 12 ft square with a door, two windows and a flat roof (inside the warehouse). It was paneled on the inside and the walls were 8 ft high. 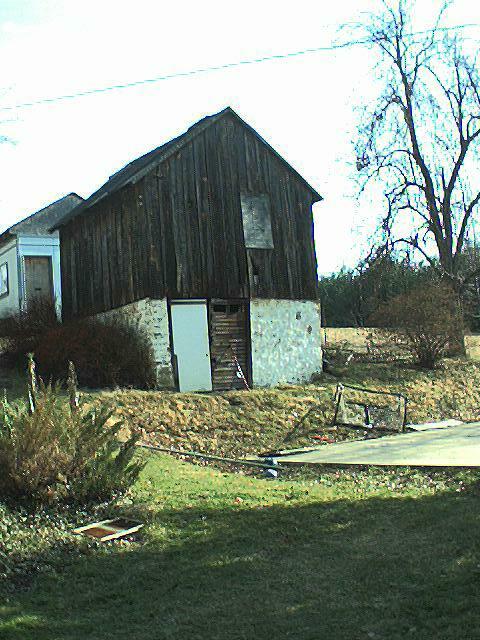 Rather than have them tear it down, my father-in-law takes a Sawzall and cuts the building into two pieces, 8 ft long, and 4 ft long. You see, 8 ft is the widest thing you can put onto a trailer and cart out to your son-in-law’s farm. The two piece building sat for a couple of weeks, then we stuck it back together and build a pitched roof on it. We did not finish the eaves, however, and the squirrels had a field day filling up the walls with butternuts. 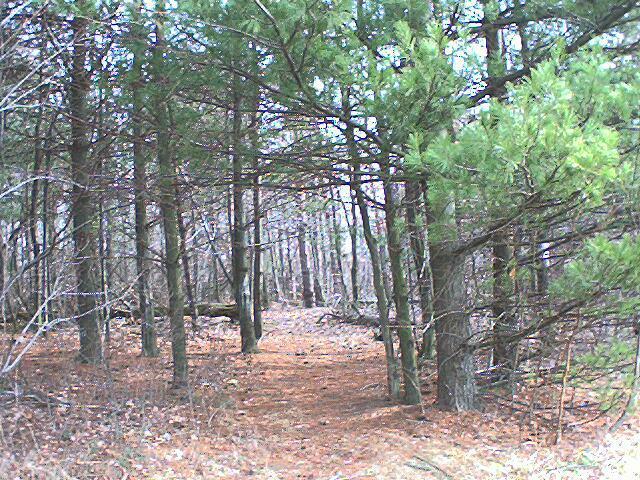 Probably the nicest part of our land was the part that stretched out from above the house to the pine woods. The field was fairly level and wooded on two sides. It was a great place to walk. As it was the most level part of my land, I built a backstop so that the kids could practice hitting. Unfortunately for my son, he had inherited my lack of talent for baseball, but my daughter was a pretty good softball player. To be fair, my son was an excellent hockey player, as was his sister. In the fall, before the cows, I would cut the fields with a brush hog and tractor. I would cut clockwise in the same direction we’re taking around the field. Since the back field was much narrower than the side field, I would eventually end up with two areas of high grass separated by the mowed sections. At some point, all of the critters gathered in one or the other of the high-grass refuges would bolt to the other. You’d see rabbits, pheasants, groundhogs, you name it. I stopped one hot October day and went to the house to get a beer and my daughter, who was then about 12, heard me talking about the 20 or 30 pheasants I saw running between the high grass sections. Next thing I know she is getting out the ancient .22, and asking where the shells are. She was going to get us supper. 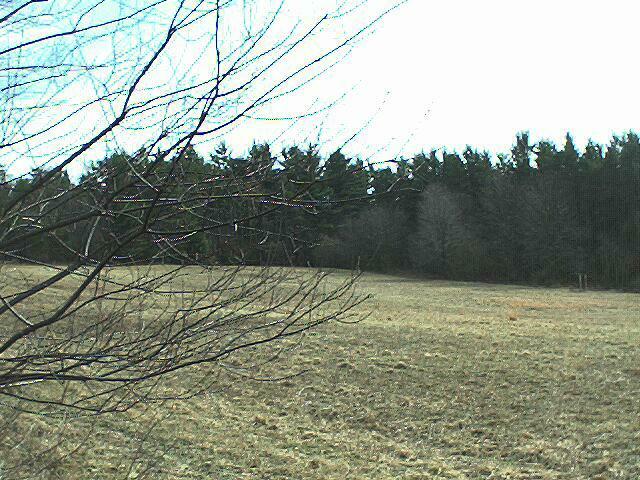 At the far end of the back 40 was the pine woods. There were ATV trails that the neighbor kids had made, and a flock of about 40 turkeys who liked to roost in the pines, but mainly it was a great place to camp out. The kids kept a huge Rubbermaid box up there for storing all the gear. One time I found all my extension cords (and some borrowed from my neighbor) strung together across the fields so that they could have power out there. That didn’t last long. Well, that about does it for the homestead tour. Now that I live in the suburbs, I miss the solitude and the ability to stand out in the middle of the field like Julie Andrews in the Alps and spin around and see my land. However, my wife is clearly happier not having to drive 30 miles to get to the nearest grocery store.